Besides its new flagship P30 Series phones, Huawei also announced the Active Edition and Elegant Edition of the Huawei Watch GT during its product launch event in Paris. 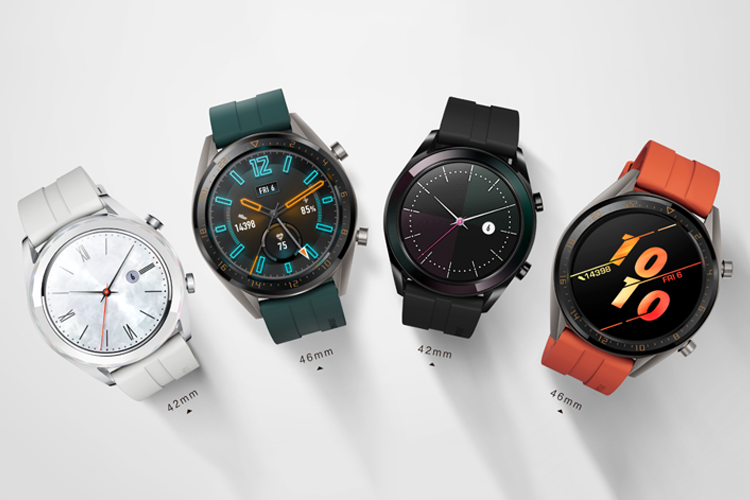 The Active Edition features the same 46mm watch face as seen in the regular Huawei Watch GT Classic and Sport Editions, while the Elegant Edition has a smaller 42mm ceramic bezel variant. The Active Edition is priced at 249 euros, while the Elegant Edition has a price of 229 euros. Huawei Watch GT Active Edition is fitted with a 1.39-inch AMOLED HD touchscreen with a resolution of 454 x 454 pixels, while the Elegant variant comes with a 1.2-inch AMOLED HD color touchscreen with a resolution of 390 x 390 pixels. Fluroelastomer straps of Huawei Watch GT Active Edition and Elegant Edition add a unique overall texture to the watch. 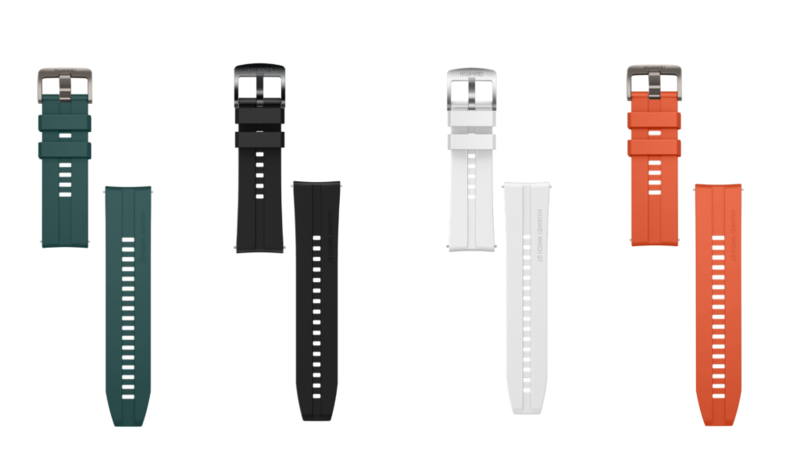 The Active Edition is available in orange and dark green, and the Elegant Edition is available in black and white. Huawei Watch GT Active features two-week battery life just like the Sport and Classic Editions in typical use including all-day wear with heart rate function active, scientific sleeping function active at night, 90 minutes of exercise per week and incoming notifications. 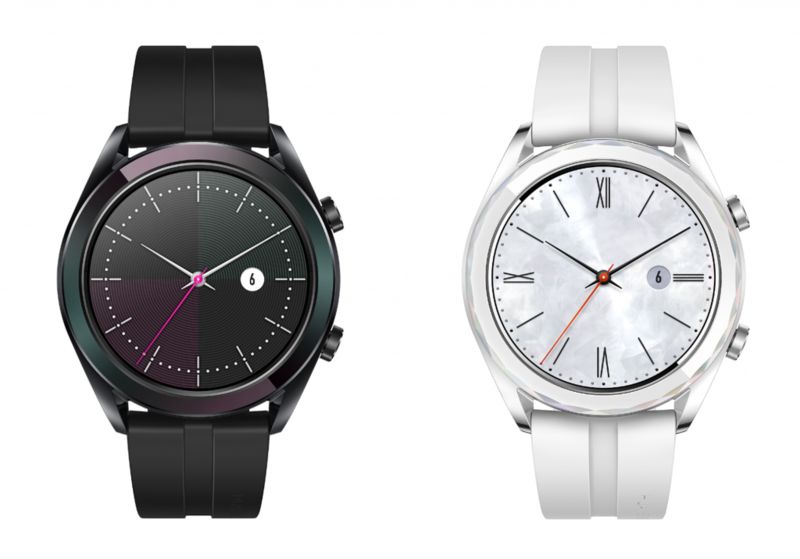 The Elegant Edition has a battery life of up to one week because of the smaller body. Both variants can stay charged for up to 30 days when not in use. 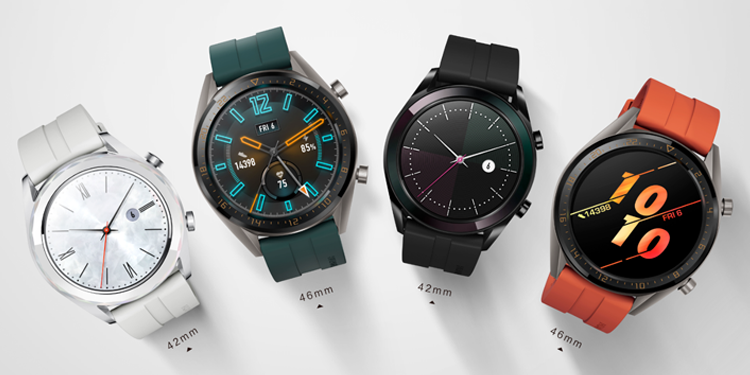 The new Huawei Watch GT Active Edition and Elegant Edition feature Triathlon mode, which can track open water swimming, outdoor cycling, and outdoor running. The smart watch can record the entire triathlon, including the transition time. Triathlon mode will be available on the Huawei Watch GT Classic and Sport Edition via an update.